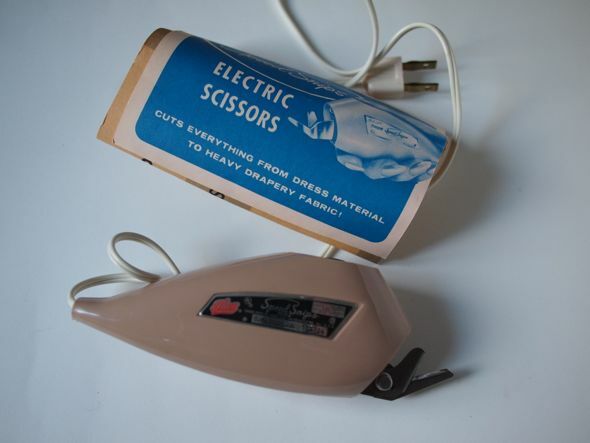 1967 Electric Scissors. With Headlight. 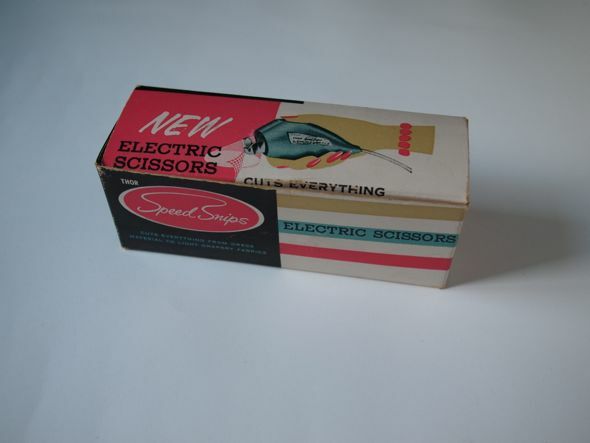 A 1967 Speed Snips electric Scissors. When I first plugged it in, it only growled, but oiling the hinge and spring on the blades brought them snapping to life. 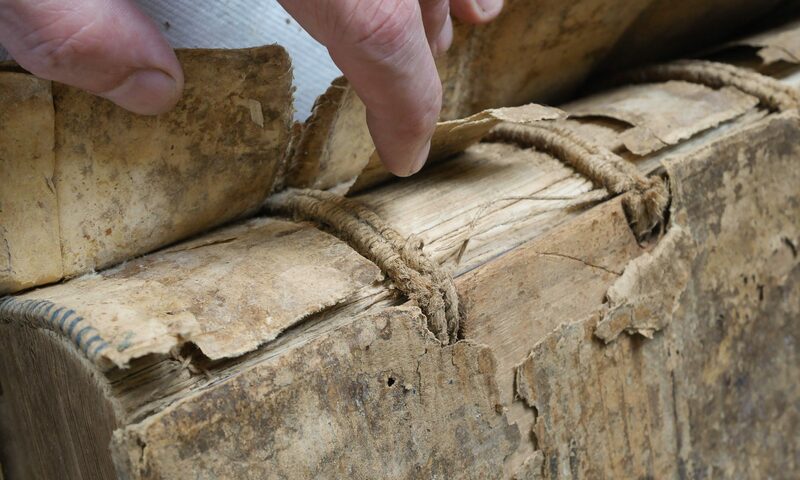 They worked ok for cutting paper, I haven’t tried them cloth. Since the blades are so short, they need to be advanced somewhat slowly, so I’m not totally convinced they actually save that much time over a longer length “manual” scissors. But they do save some effort if accuracy is not paramount. It is surprisingly heavy. 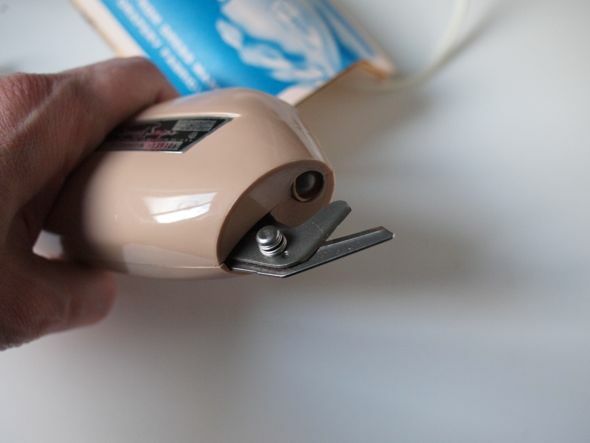 Readers may also be interested in another electrified tool, a very rare West German electric bookbinders backing hammer, which I wrote about on 1 April 2011. This 1 April post is true. The headlight works, and if you come visit NYC you can try it out yourself! Thanks, Jeff! I don’t travel often, but I’d love to visit.